Pears can be a very delicate fruit and usually don’t last long. For this reason we want to make sure we buy the correct pear based on our needs. If we need our Pears immediately then we want to pick one that is just a tad soft. 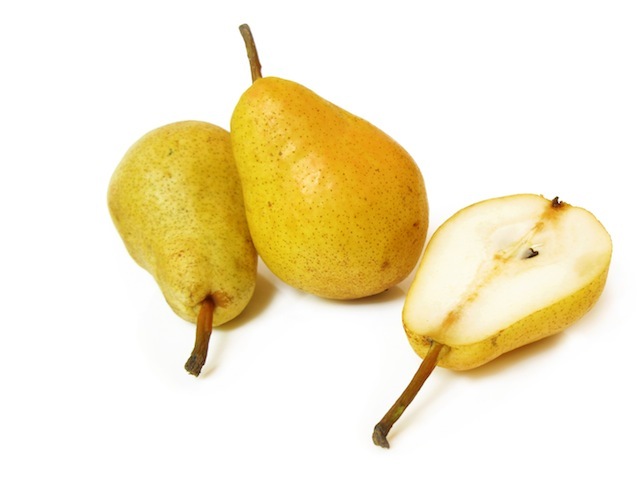 Pears ripen from the inside out, so a soft pear will mean its ready for eating. The best place to check is near the stem, this is the narrowest part of the pear so this should be soft to the touch. A soft bottom indicate a pear thats past its prime and shouldn’t be bought. For all other uses we should buy firm pears. We can speed up or delay the ripening process at home based on how soon we need the pear. Depending on how soon you need your pears is how you should go about storing them. If you are looking to consume them in 2-3 days then leave them out on the counter. They will naturally ripen and will be ready to eat in no time! If you want to keep them for 5-7+ days then you should store them in the fridge. This will slow down the ripening process and allow you to keep them for longer. You should begin to take them out of the fridge as you need them and let them sit for a day or two to ripen naturally. Just remember that the longer they have been in the cold the faster they wil ripen when you take them out. Tip: Don’t forget, a pear is ripe when the tip near the stem is soft. You should check them daily to make sure they don’t spoil! Avoid Wilted or Shriveled Pears: Avoid buying these, they won’t ripen and will never be good to eat. Never Store In a Plastic or Paper Bag: The ethylene gas will be contained causing the pears to ripen much faster. You could do this if your pears sooner rather than later. Don’t Store Near Apples or Bananas: Both these fruits produce a high amount of ethylene gas and will cause your pears to ripen much faster.